Would Health Workers Reject the Swine Flu Vaccine? According to a study that polled over 2000 Hong Kong health workers, about half would refuse the swine flu vaccine. Those who would pass on the vaccine say they are concerned about potential side effects. So far, the effects have been mild, such as soreness at the injection site. Researchers at the University of Hong Kong surveyed doctors and nurses in public hospitals this year from January to May, asking them if they would get a pandemic vaccine based either on bird flu or swine flu. About 35 percent of health workers were willing to get a bird flu vaccine, versus 48 percent for swine flu. Experts were surprised so few of Hong Kong’s health workers were willing to be vaccinated, since the city was hit hard during the 2003 outbreak of SARS, or Severe Acute Respiratory Syndrome. 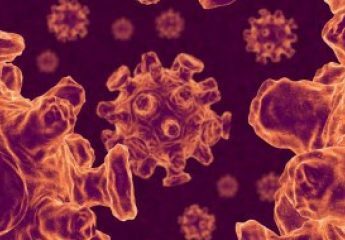 The H1N1 flu virus could cause up to 90,000 U.S. deaths, mainly among children and young adults, if it resurges this fall as expected, according to a report released Monday by a presidential advisory panel. The report says 30,000 to 90,000 deaths are projected as part of a “plausible scenario” involving large outbreaks at schools, inadequate antiviral supplies and the virus peaking before vaccinations have time to be effective. Up to 40,000 U.S. deaths are linked to seasonal flu each year, with most of the fatalities occurring among people over 65. With seasonal flu and H1N1, this fall is expected to bring more influenza deaths and place “enormous stress” on intensive care units nationwide, which normally operate near capacity, the report says. An H1N1 resurgence may happen as early as September, at the beginning of the school year, and infections may peak in mid-October, according to the report. However, the H1N1 vaccine isn’t expected to be available until mid-October, and even then it will take several weeks for vaccinated individuals to develop immunity, the report says. Will the Swine Flu Vaccine Give You Guillain-Barre Syndrome? He said there was also no increased risk of the syndrome associated with the seasonal flu vaccine. However critics have said the fact doctors are being told to report cases of Guillain-Barre syndrome is evidence that the authorities are concerned. Guillain-Barre Syndrome attacks the nervous system and can cause paralysis and death. More information can be found here.